A Bullish Debit Spread Options Strategy refers to buying an At The Money or In The Money Call Option and then selling a call that is Out Of The Money. The Short side limits the maximum loss, but also caps the maximum profit as well. 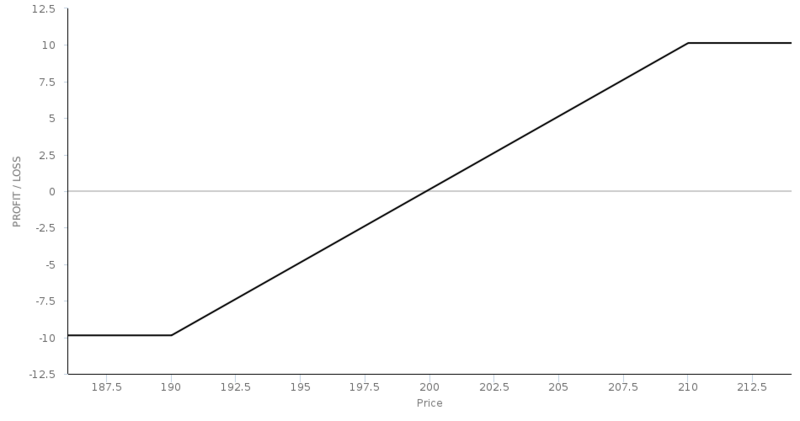 The spread is the differential between the purchase price of the Long option and the sale price of the Short option. Since the Long option is more In The Money (and therefore expensive) a debit is required to create the position. Bullish debit Spreads are directional option strategies because they rely on the price action moving upward in order to generate a profit. The Options Guide article about bull call spreads. Fidelity article with the key points about bullish debit spreads (or bull call spreads).